According to Pier Luigi Gorgoni, author, journalist and a professor of enology at ALMA (the International School of Italian Cuisine), the traditional wines, especially Amarones, are reminiscent of: lawn, herbs, spices, macerated fruit, dried figs, dates, dried flowers, tamarind, sometimes briny olives, rust and salt and Kirsch. Additionally, layers may include: star anise (and similarly licorice root), dried leaves, and moss and forest undergrowth. On the mouth a sumptuous complexity result in earthy and ripe dried black cherry and plum. Modern styles of Amarone exhibit: mature black fruits, dense toasted and woody accents including, tobacco, cumin and beeswax. Secondary notes include: cinnamon, butter, Sarawak pepper (Malaysian pepper considered to be one the best in the world, with bold aromas and softer woodsy flavours), blueberry jam, cherry jam, dried prunes, cherry blossoms and dark chocolate. The palate tends toward fruitiness; it is toned and dense, concentrated and wide. It's believed to be native to the region, however the first writings on this variety were found from as far back as 1824. This grape is perfectly suited to the drying process necessary to achieve the designation of Amarone, Recioto and Ripasso wines. That suitability to the drying process is due to it’s densely packed skin cells, and thick skins. Corvina’s intrinsic fruity demeanor shows juicy cherry and plum aromas; its intense colour results in ruby red wines of medium-body with excellent tannic structure. Corvina is a mandatory variety when making classified wines; 45%-95% of the blend must be Corvina. Rondinella, one of the most important of the grapes of Valpolicella seems to have arrived in the Veneto around the 19th century. Rondinella is a medium sized grape and has a hue of violet-black. It offers delicate floral and vinous aromas, and has good tannic structure. Also a mandatory variety, Rondinella must be 5%-30% of the blend. Corvinone, is a large berry grape with semi-compact bunches. 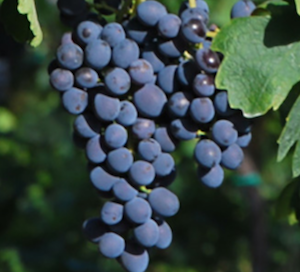 This fruity red variety was once confused with a variation of Corvina; like that grape, it’s well suited to the drying/withering process, and is a late ripening variety. It also exhibits spicy and herbaceous characters, which are more obvious when its yields are kept low. Corvinone can be used as up to 50% of the blend, replacing the same amount of Corvina. Molinara is a vigorous grape, one which results in a light colour from skin contact. 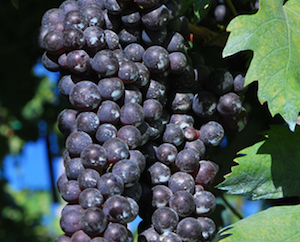 While on the vine, Molinara tends to have a fine, powdery film across the berries. Additionally, its thin skin makes it susceptible to botrytis and acid rot, but it offers brightness to the blend and savoury/mineral sapidity. 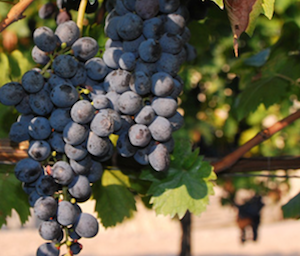 Like the other allowable varieties in Valpolicella wines, up to 15% of those varieties may be blended in but no more than 10% of each; ergo, up to 10% of the blend may be Molinara. Other allowable varieties include: Cabernet Franc and Sauvignon, Corbina, Dindarella, Merlot, Oseleta, Spigamonti, Teroldego and Turchetta. Up to 25% of the blend may be “other varieties” (outside of the mandatory Rondinellla and Corvina) but again, only 10% of each one (at maximum) may be used. The result is a unique wine with increased aromas of balsamic, spice/peppery, tobacco and floral, and with a richer concentrations and glycerol-like texture and weight. 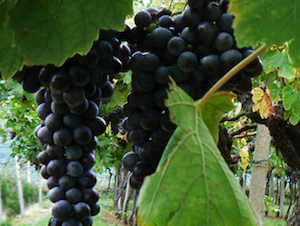 Now you know even more about the wines of Valpolicella!